Did you know your air conditioner can last between 7-10 years longer with regular maintenance? 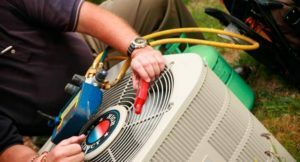 Don’t undervalue the importance of Air Conditioning Maintenance in Livermore, Pleasanton, Dublin, CA, get professional service from Superior Mechanical Services, Inc. and protect your investment. If you’re looking for an easy way to keep costs down at home, maintenance truly pays off over time. Let us show you how by restoring your AC performance, lowering your monthly energy bills, and preventing costly repairs and breakdowns. For nearly 70 years, we’ve been a Livermore favorite, and we’d be honored to help protect your home comfort. In about one hour of time, we completely renew and restore your air conditioner’s performance, keeping it ready for the warm days and ridding it of all the hidden buildup that happens over time. Even with regular filter changes, your AC accumulates dirt and grime that block it’s mechanical parts from moving smoothly. We inspect, clean, test, and maintain every part of your cooling equipment so it runs as smoothly as the day you bought it. Our maintenance is sure to make your AC work more efficiently than before, and it also helps keep you and your family from experiencing surprise breakdowns in the middle of summer or paying for expensive repairs. We recommend getting Air Conditioning Maintenance in Livermore, Pleasanton, Dublin, CA twice a year to keep up with the demands our California weather places on your equipment. If you’re looking for serious savings, our Superior Club Membership gives you two visits per year including an 18-point inspection and reminders along with half off any diagnostic service calls, a 15% discount on repairs and one year repair warranty. We’ve been in the heating and cooling business for nearly 70 years and if there’s one thing we’ve committed to, it’s taking care of our customers. 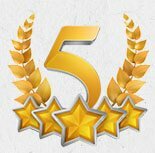 We know you have other options for maintenance services, but we have both the experience and the caring effort that will make sure your home is well cared for each time we visit. If it’s time for maintenance, you’ll be glad you called Superior Mechanical Services, Inc. because we’ll bring you the reliable cooling power you can depend. Schedule your visit or ask about our Superior Club savings by calling 925-456-3200 or toll free at 888-544-4111 today. Contact us today for Air Conditioning Maintenance in Livermore, Pleasanton, Dublin, CA!